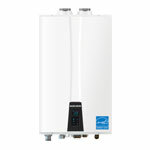 We provide tankless and tank water heater maintenance, repair, replacement and new installation services as well. 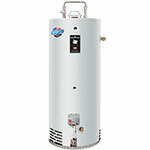 Get in touch with us today to schedule the water heater services you need. 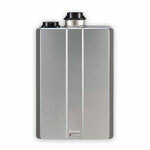 Indirect Water Heaters practically eliminate standby losses. 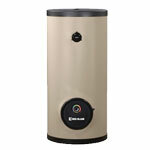 Indirect Water Heaters do not have a chimney that can lose heat. The outer jacket of Indirect Water Heaters surrounds the tank with 2 inches of insulation, providing a very effective seal. In most instances, the water inside the Indirect Water Heaters loses only 0.5 degrees Fahrenheit per hour. When paired with a natural gas fueled high efficiency boiler the Indirect Water Heaters only costs $0.05 per day to keep 40 gallons of hot water ready for use. 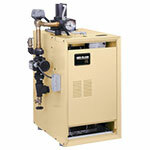 A great choice is to install them in spaces with excess heat, such as a boiler room. HPWH tend to cool the spaces they are in so you can benefit from free air conditioning in the summer as you are heating hot water.